These handcast resin bases are supplied unpainted. 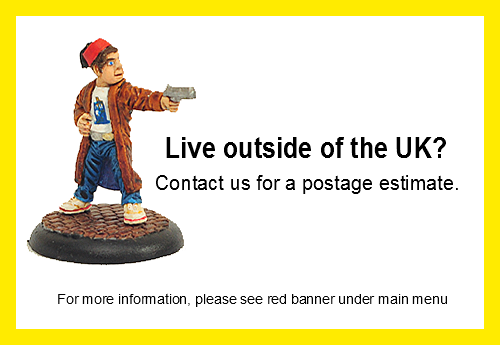 Please note that colours of resin may vary slightly from that shown. 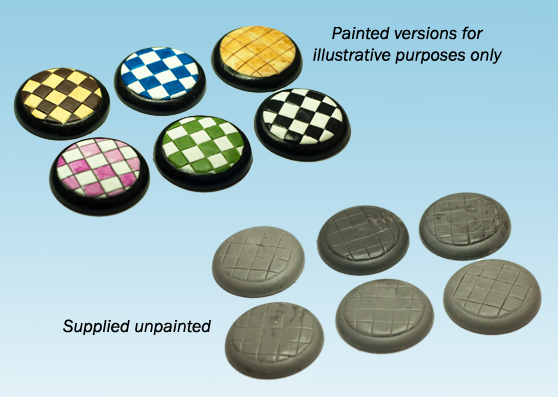 These bases are easily drilled and provide an easy alternative for rebasing your miniatures. To zoom in on image and see unpainted versions, please click the image. A group of square tiled floor bases. There are 3 "slight" varients.